For all you animal lovers, make sure you check out this series of books based on real-life animal rescues by the RSPCA! If you haven’t heard of them before, the RSPCA is a charity in England and Wales dedicated to rescuing and looking after animals – who better to base the stories on! As well as the story, every book also has loads of extra content including interviews with RSPCA inspectors, animal factfiles and advice if you ever find yourself in a similar situation to the people in the story. Plus for every copy of these books sold, 15p will be donated to the RSPCA to help them continue their work. To give you a better idea of what you can expect, here are the books you can enjoy so far. Emily has a naughty new puppy called Pickle, and he’s very mischievous and likes to explore! One day whilst being walked with Emily and her family, Pickle gets stuck in an old mineshaft and he needs to be rescued! Through the combined efforts of Emily and her family, the RSPCA and the local fire brigade, will they be able to pull Pickle to safety? 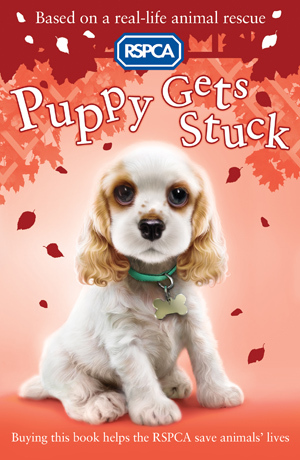 Puppy Gets Stuck is out now – click here to find out more and get your copy! Grace has found a tiny hedgehog in her garden – it’s all alone, lost and hungry and needs urgent care. To get some help, Grace’s mum decides to call the RSPCA. The RSPCA advisor tells them to bring the hedgehog indoors, whilst they wait for an inspector to turn up. 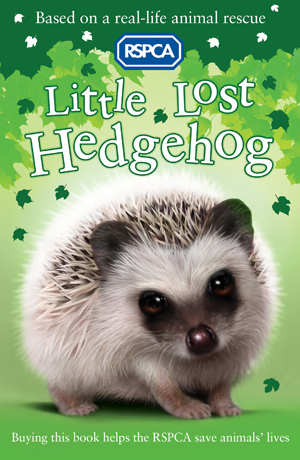 But will they all be able to nurse the hedgehog back to health and return it to the wild? There’s a flood in Ben’s village, and the sheep in the field at the end of his garden are in danger. Ben’s family call the RSPCA who come to help transport the sheep to safety. 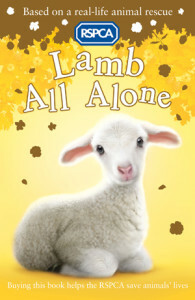 But one tiny lamb is left behind! Ben has a brilliant idea of how they can save it – but he and the RSPCA need to act quickly to rescue the lamb. 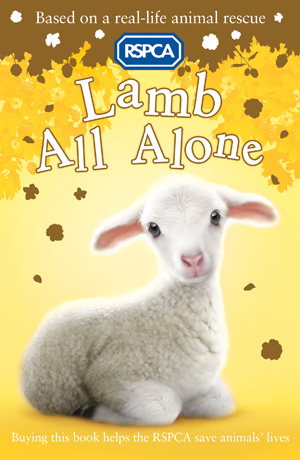 Lamb All Alone is out now – click here to find out more and get your copy! Lily’s mum works at an RSPCA centre as an Animal Care Assistant. Sometimes Mum has to care for animals at home, and on one rainy evening, Mum arrives with three tiny kittens which have been abandoned and need looking after. But there’s another member of Lily’s family that wants to help – Meg their dog gently mothers the kittens in their basket! Meg was brought to the RSPCA as a tiny puppy and was hand reared herself. Will Mum, Lily and Meg be able to nurse the kittens back to health? 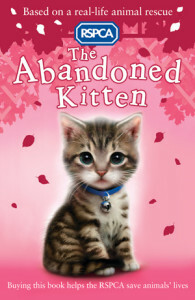 The Abandoned Kitten is out in May – click here to find out more and pre-order your copy! If you want even more animal fun, then you should also check out this fun sticker book! The Farm Babies Sticker Book is full of cute farm animal stickers. It includes games and animal facts too, to keep you busy learning about animals for hours! 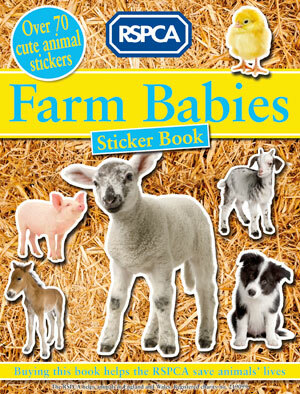 Farm Babies Sticker Book is out now – click here to find out more and get your copy! The Royal Society for the Prevention of Cruelty to Animals is the UK’s largest animal welfare charity. They rescue, look after and rehome hundreds of thousands of animals each year in England and Wales. They also offer advice on caring for all animals and campaign to change laws that will protect them. Their work relies on your support, and buying these books helps them save animals’ lives.